Today’s “Know Your 2016 Opponents” series continues with the team that is predicted by College Sports Journal to finish 3th in the Ivy League: Yale. Although it would have been a great narrative coup if Hilary Clinton and Bill Clinton met at the classic 14-12 upset of the Bulldogs by Harvard in 1970 at wind-swept Cambridge, they instead, the world learned this week, met in the spring of 1971 at the law school library. One of the curious things about the Clintons is their lack of association with the “Yale-Harvard Football Game”, as it’s now known, even though Bill Clinton is a self-admitted sports nut, able to recall times when he congratulated winning teams that visited him in the White House, or times as President or at the Clinton Foundation reminiscing about Montana Grizzlies football. 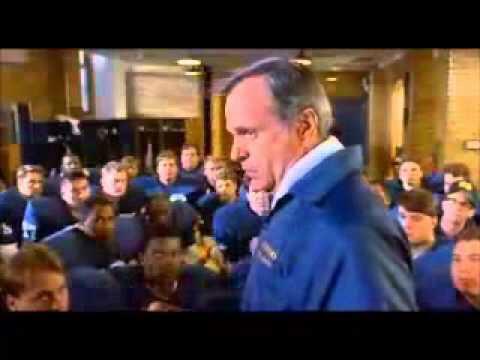 In the movie Rudy, Notre Dame head coach Dan Devine gets painted unjustifiably as a bit of a jerk. His treatment in the movie, I feel, is what prevents Rudy from being a mostly-loved movie from a near-universally loved movie. Some people will never forgive the moviemakers, for the convenience of drama, for changing the reality of his coaching career. It’s great because it is a universal football concept. Bowl-eligibility, conference games, even in playing out a 3-8 season, it doesn’t matter. Nobody wants to play the game of football and get pushed around, ever, but to be pushed around at home? Somewhere, you have to draw a line. This weekend, Yale pushed us around. At home. There’s no hiding it. They weren’t always pretty doing it – the Bulldogs made a fair number of mistakes in the form of penalties and turnovers. But ultimately, they won the game because they pushed us around. It was a game that was pretty much the opposite of what Lehigh football fans would have wanted from homecoming. People want games in Murray Goodman Stadium that are sunny and 70 degrees, with perhaps just a hint of wind. Instead, despite the fact that a threatened hurricane never arrived, temperatures dipped into the 50s to go with some cold, gusty winds, which caused not a few people to get runny noses. Homecoming is supposed to be a happy time, but the dark, overcast skies didn’t make the game feel like a warm, welcoming place. Though the Marching 97 tried their best, as did the Alumni band, the dreariness hung over the stadium like an unwelcome guest. Home fans always want a win on homecoming, hopefully with exciting, crisp, vibrant execution from the guys in the brown jerseys, but again, that too would end up being the opposite of what Lehigh fans were hoping for on this afternoon. 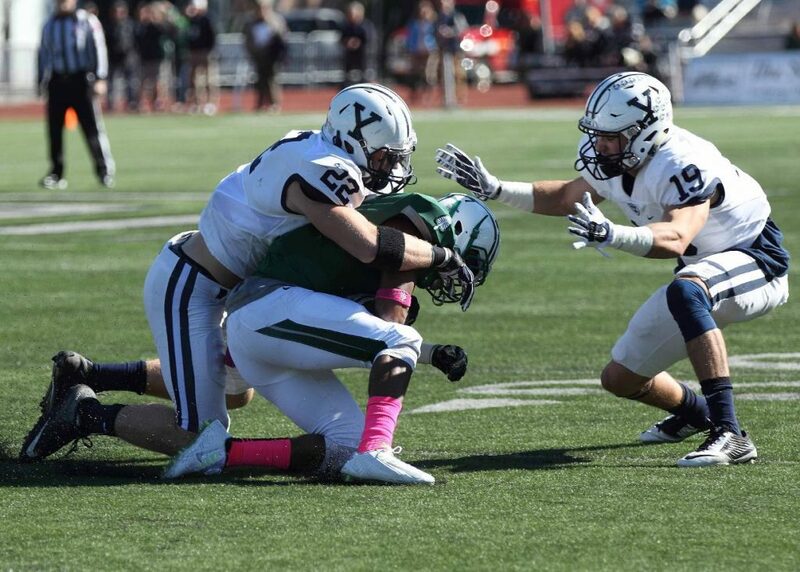 Yale would turn over the ball three times, be penalized 11 times for 94 yards, and be limited to 200 yards passing on the afternoon. But they would also enjoy over 200 yards rushing from RB Deshawn Salter, playing in his first career start filling in for injured RB Candler Rich, and that, coupled with plenty of mistakes on the Lehigh side, would amount to a comfortable 27-12 win for the Buldogs.